You know when you feel like you’re supposed to do something but you’re not sure if you want to do that thing but you know you should…you feel me?! Well, this series that I’m launching today is that thing. “Take Me to Church” is what I’m going to call it because we all need a little church sometimes (even though I’m not actually going to one at the moment). The plan is to post a new blog each Tuesday for 6 weeks. 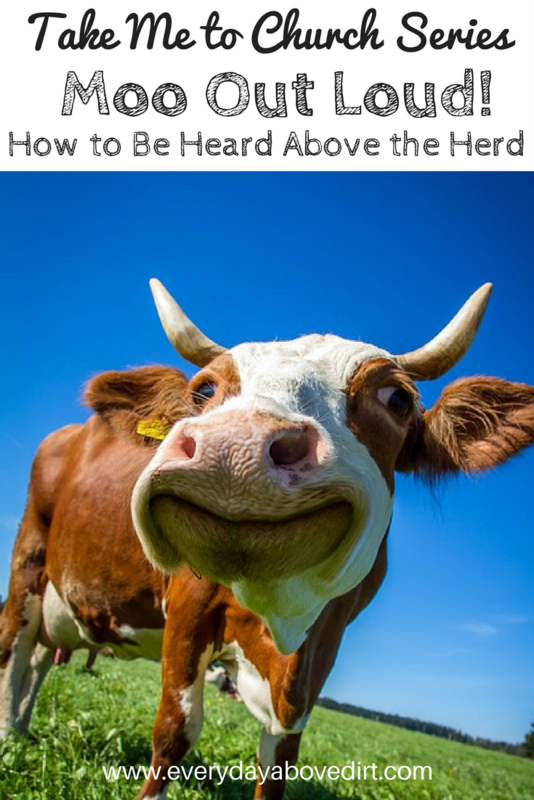 Each post will have something to do with finding your own unique voice and being heard above the herd. The whole purpose for my blog is to bring other moms hope and encouragement and that’s exactly what this series will do or at least I know it does for me each time I listen to it (I’ve pretty much listened a billion times at this point…maybe a bit of an exaggeration, eh). As moms I feel like it’s easy for us to loose our voice. Our list of responsibilities in a day are pretty much endless and even when we aren’t doing something on our to-do list, we’re thinking of what we need to add to it. Often our own voice can get diminished and eventually silenced. 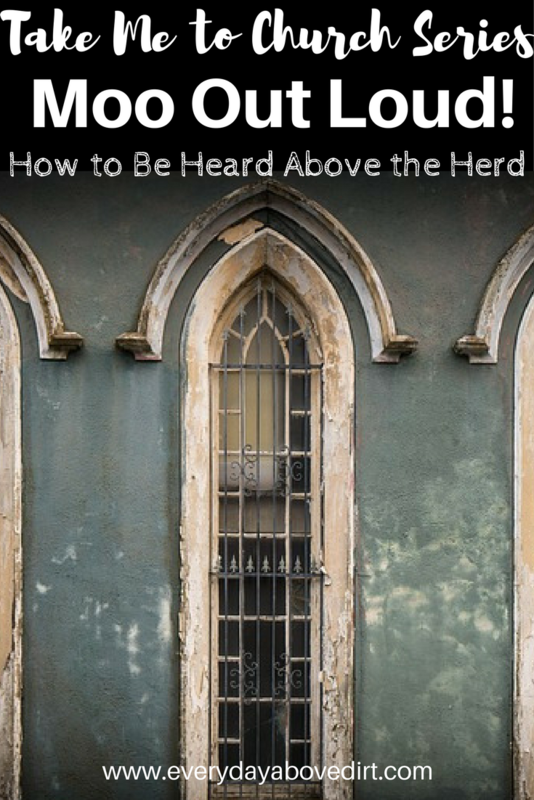 That’s why I’m beyond excited to share “Moo Out Loud: How to Stand out and Be Heard Above the Herd” with you. The speaker (and my dad), David Foster reminds us that we were created for more than mediocre. We are not meant to just go along in life without chasing our dreams and speaking out for things we are passionate about. My hope and prayer for you is that you follow along with me over these next six weeks and start to believe that you were made to Moo Out Loud! Here are the notes to go along with the first powerful message, Your Inner Rock Star. I don’t know about you, but I’m a visual person, so I always like writing things down. Also, each message is about 30 minutes long, so great to do watch while folding laundry or something of that sort. David Foster, my dad, woke up in heaven five years ago. It was completely unexpected but he fulfilled his life verse, “Now when David had served his purpose, he fell asleep” (Acts 13:36). To say we were all totally taken off guard would be a huge understatement. He was a news paper delivery boy for Christ. He always made people feel like they could love Jesus and still be normal. The way he spoke was so relatable and was always encouraging. I am so thankful that I have videos like these to listen to over and over and remember why God put me here. That is just one more reason why this series is so important to me. p.s. The church he was speaking at in the video met at a theater, so that’ll give you a little insight on the setting. I mean, I want you to have the full experience.